"This recipe is delicious and couldn't be easier. With only three ingredients, it's ready in a snap. A perfect gluten-free snack for families on the go." Stir almonds, cranberries, and sweetened condensed milk together in a bowl. Press nut mixture into the bottom of a 9x6-inch baking dish. Bake in the preheated oven until golden and set, about 25 minutes. 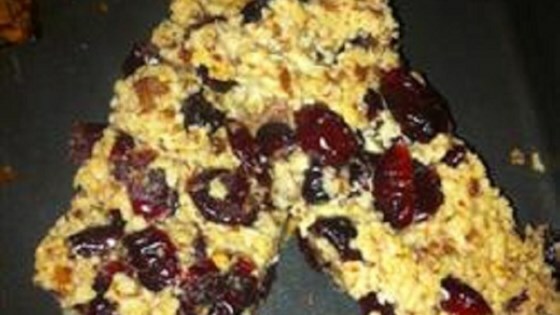 You can substitute your favorite nuts for the almonds and your favorite dried fruit for the cranberries.